Atlab Pharma (Nantes, FRANCE) and Telix Pharmaceuticals (Melbourne, AUSTRALIA) conclude a Therapeutic Product Development Agreement for Prostate Cancer. The parties will collaborate to manufacture clinical material and work together to execute a multi-centre Phase IIb trial for the treatment of men with metastatic prostate cancer, with and without end-stage chemotherapy (standard care). In financing development, Telix also obtains an exclusive option to acquire Atlab under pre-agreed terms. The financial terms of the option exercise are not publicly disclosed at this time. What is Telix Pharmaceuticals ? 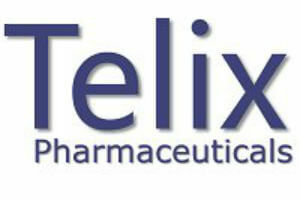 Telix Pharmaceuticals is a clinical-stage biopharmaceutical company headquartered in Melbourne, Australia. Telix is developing an advanced portfolio of clinical-stage products that address significant unmet medical need in oncology, particularly renal, prostate and brain (glioblastoma) cancer. What is Atlab Pharma ? ATLAB Pharma is a privately-owned biotechnology company headquartered in Nantes, France. ATLAB is developing a pipeline of innovative anti-cancer radiopharmaceuticals based on monoclonal antibodies coupled to the beta-emitting radioisotope Lutetium-177 and to the alpha-emitting radioisotope Astatine-211.